D4 Task 1: Run the task NW, using the principle of virtual velocities, or virtual work Lagrange. JOB C3 (p. 23 Dievskaya 2009): For in Scheme 1-30 composite structures find support reactions. The dimensions are in meters. The weight of structural elements neglected. 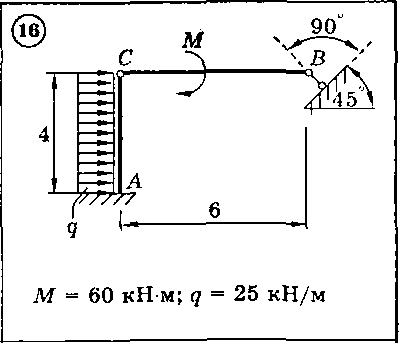 After payment you will receive a decision setting 1 problem in theoretical mechanics D4 B16 (skhema16) in the test book "theoretical mechanics" Dievskaya VA Malyshev IA 2009 for university students. The task is made in the format word (typed or hand-written decision in a Word), packed to the archive zip (open on any PC).